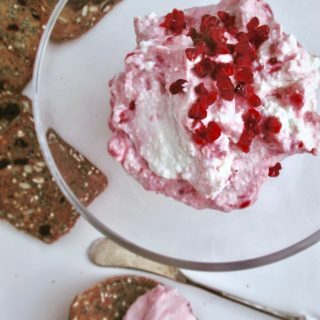 Your stored-bought sugar-pickled daikon radish got a healing makeover. 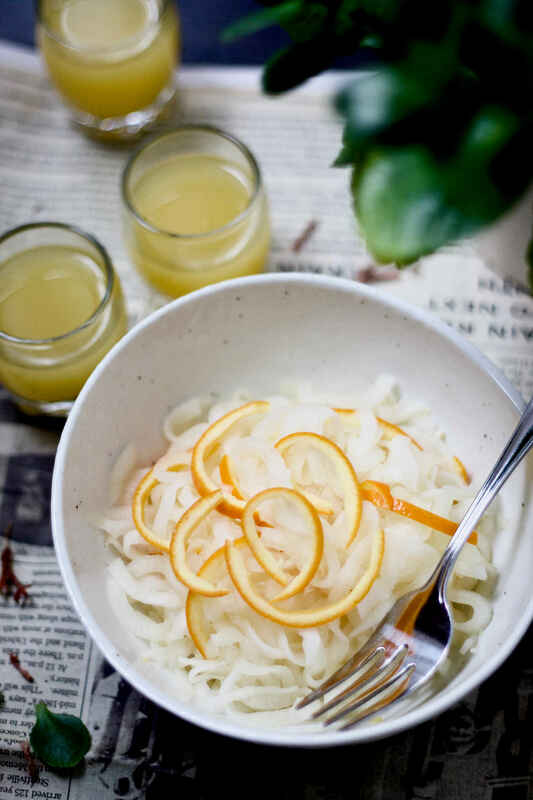 Pickled with fresh orange juice, along with ginger and orange peels, this ginger orange pickled daikon radish is paleo, vegan and whole 30 compliant. 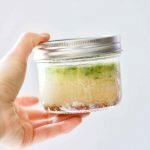 Read on to find out why the pickling liquid is a perfect immune shot against coughs and respiratory infections during the cold and flu season. Daikon, also called Chinese white radish, is one of the most valued winter vegetables in eastern and northern parts of Asia. There are so many folk sayings about this root vegetable, such as “radishes for sale, doctors close shop”. In Asian countries, daikon is often used in traditional food remedies against coughs and lung infections in the winter. Growing up, daikon was one of the main vegetables we ate all winter, and everyone was fit as a fiddle. We had the white radishes braised with meat or boiled in all kinds of vegetable or bone soups, until they turn so tender and sweet. But if you dare to take a bite of the raw daikon radish, it can be pungent and spicy that catch you off guard. As much as I love warming and healing soups and broths (evidence here), one can only eat so much. That’s why on days you just feel like something crunchy and light to accompany your meal, you pickle the raw daikon radish which will remove the spiciness. In addition, daikon radish is also praised for its ability to improve digestion, boost immune system, prevent cancer, and detox, etc. from both western and eastern perspectives. No matter how you slice and dice it (pun intended), daikon radish is an ideal winter vegetable with many medicinal benefits. I spiralize my daikon radish because it’s so fast to process a big root, then I cut the ribbons into shorter segments with a knife. Make sure to use the thick ribbon setting of your spiralizer. However, a spiralizer is NOT necessary for this recipe. Simply cut the daikon into thick juliennes. I spent some time in Japan in my younger days. While there, I learned to pickle daikons with orange peels to enhance the flavour. 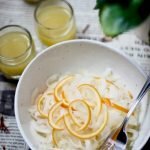 Just like adding orange zest in cooking, pickling with orange peels has similar aromatic effects by infusing the flavour of orange peels into the pickling liquid and the pickled vegetables. 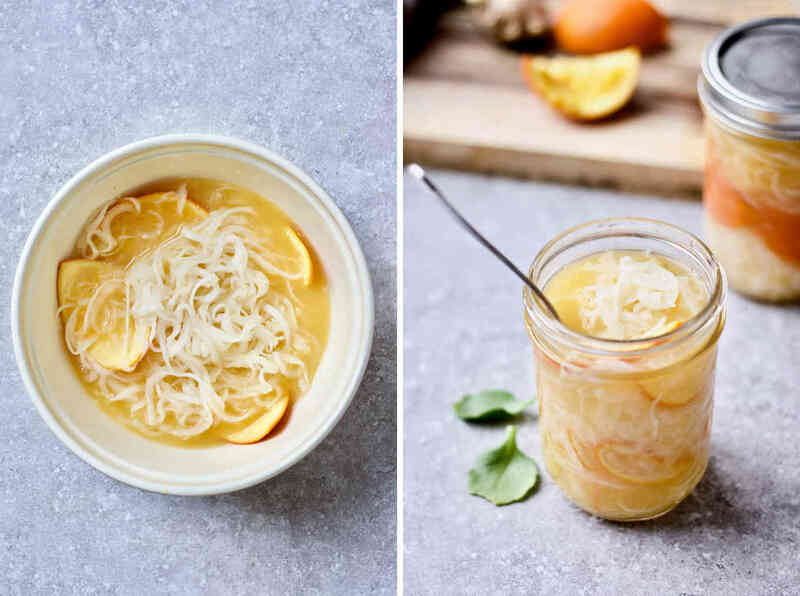 I, for one, don’t enjoy eating the peels, while I am gladly using them in my pickled daikon radish, adding them in soups for infusion, or eating in the form of orange zests. Each of the ingredient above have great health benefits. Many people use orange juice, ginger, apple cider vinegar and Himalayan salt in their regular health routines or as first line of defence against sickness. You can find more of my rants on daikon juice and orange peels in the sections above. All in all, this combination is quite beneficial for boosting immunity against winter sickness. So if you have a concoction like this, will you toss it? I must admit the pickling juice was too tasty to share with anyone else. If I didn’t divide up to drink my immune shots over 3 days, I would have no problem finishing the whole thing in one sitting. I will really need to pickle more daikon soon just so that I can have my immune shots again. Pickled with fresh orange juice, along with ginger and orange peels, this ginger orange pickled daikon radish is paleo, vegan and whole 30 compliant. 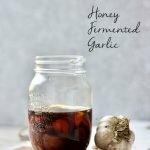 The pickling liquid is a perfect immune shot against coughs and respiratory infections during the cold and flu season. 1 medium Daikon (aka. Chinese white radish), approx. 1.5 lb. Remove the skin of the daikon radish with a potato peeler. Cut the daikon radish into thick juliennes about 1/4 inch thick, and 2 inch long. I use the thick ribbon setting on a spiralizer for fast result. If using a spiralizer, cut the ribbons into shorter segments. 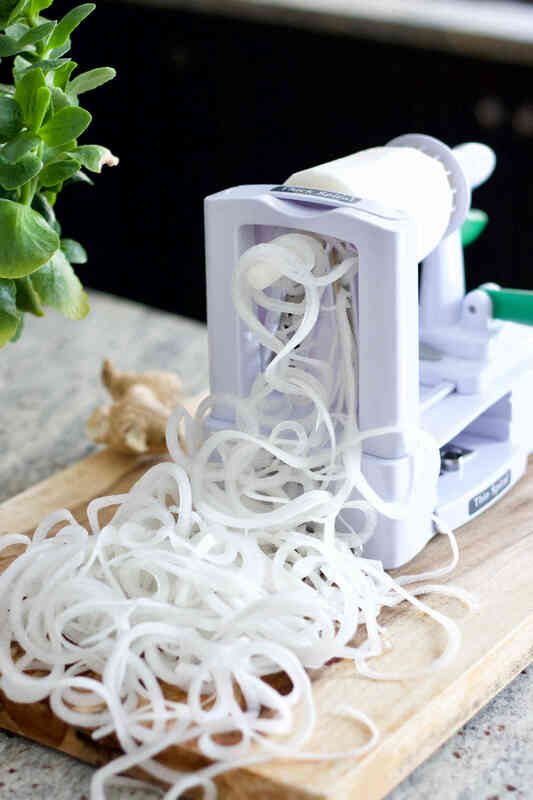 A spiralizer will produce thinner cuts than using a knife. In a non-metallic mixing bowl, add salt to the cut daikon. Mix evenly. Meanwhile, squeeze the juice from the organic oranges, until you have at least 1 cup. You will need 2 to 3 oranges. Save the peels of 1 organic orange. Use a knife to remove the inside membranes of the orange, keeping only the peels with as little whites possible. Cut the orange peels into 4 quarters. See note #3 below. Finely grate peeled ginger to make enough for 2 tbsp. 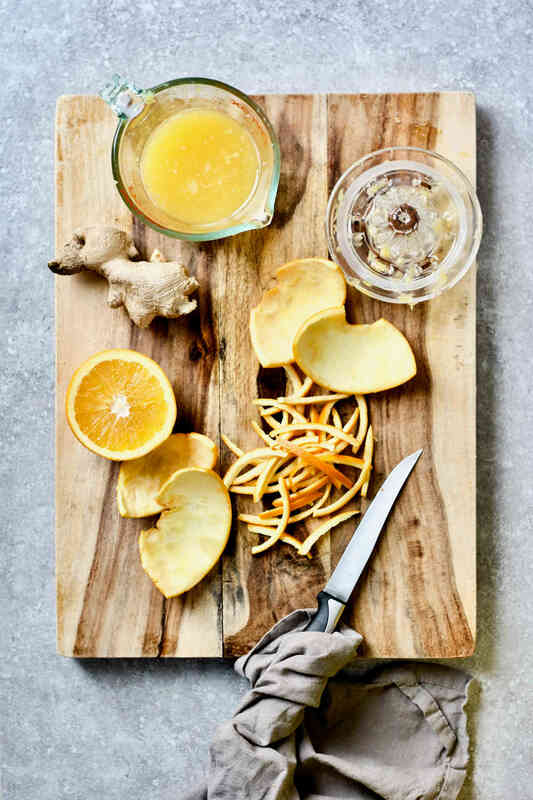 Whisk together the orange juice, grated ginger and apple cider vinegar to make the pickling liquid. Add the orange peels into the bowl of dailkon. Pour over the pickling liquid. 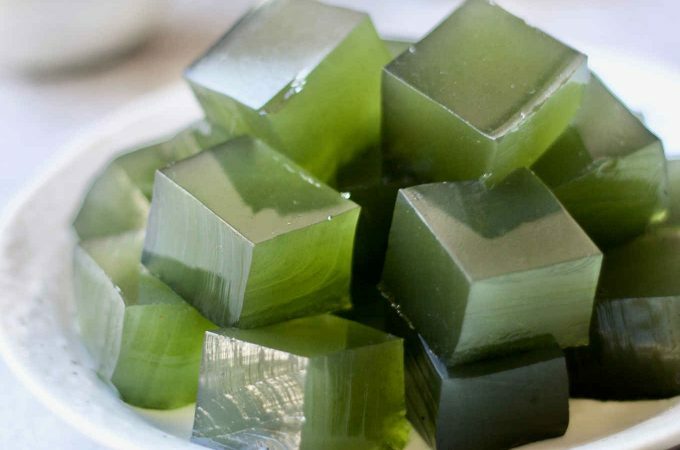 You can let the daikon pickle in the mixing bowl, or in glass jars. Either way, keep the radish and orange peels submerged under the liquid at all time, and keep the bowl or glass jar covered. Let it pickle in the fridge for 24 to 48 hours. Remove the radish from the pickling liquid and serve as a side dish. Discard the orange peels, unless you plan to eat them. See note #3 below. Serve the pickling liquid as a immune shot. Daikon cut into any shape under 1/4 inch thick will not affect the taste. It's a personal choice how you want to cut it. You may cut the white radish into 1/4 inch slices if you wish. Only use organic orange peels to avoid pesticides. If you are planning to eat the orange peels, then cut the peels into thin juliennes in pickling step #5. See the "Orange peels for flavour and health" section for more information. This is divine. 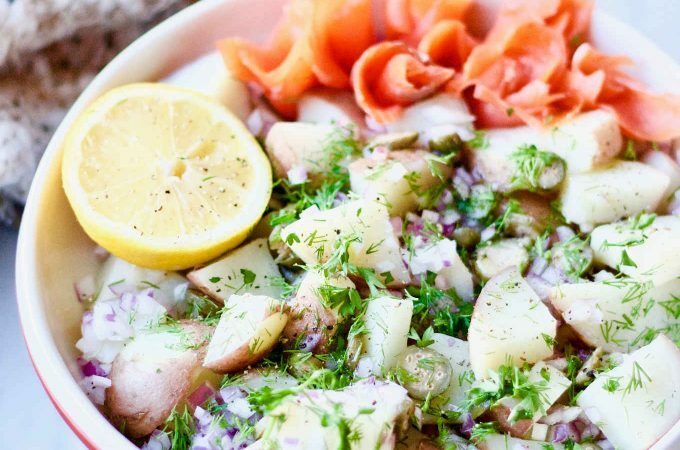 I love love love daikon and with ginger and orange, this recipe really speaks to me. Thanks for sharing all the other reasons that daikon is good to eat, I really just liked the taste of it but good to know it’s particularly good for me too! Thank you Leslie! How awesome that we just love daikon – yes, it’s totally good for you, especially to clear and nourish the lung in the winter. I absolutely love daikon! I’m so glad I live in Japan and can get one any day 🙂 This looks amazing and so healthy! Your pics are beautiful! Thank you Mira ☺️ I miss those days in Japan – so much good foods! I am envious of you right now. The Japanese daikon are slightly smaller. I am guessing 2 of them are needed for this recipe. Oooh! I had pickled daikon at a restaurant last year and completely fell in love with it. I made a mental note to look for a recipe, and then promptly forget and this is the best reminder! Pinning so I can make it this weekend, thank you!! Danielle, that’s great! The ones you had at the restaurant are typically pickled with vinegar, salt and sugar dissolved in water. Personally I think orange juice makes yummier pickled daikon, in addition to being so much healthier. What a great and tasty way to keep the germs away this winter! Loving the flavors you have used! Awww, thank you Monique! The pickling liquid is totally the star. 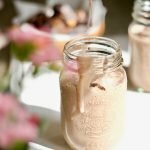 This is such a BEAUTIFUL recipe!! LOVE those flavors/ingredients so much! We do actually love daikon noodles in this house, too! They’re my favorite veggie noodle. But I’ve never done this before, super inspiring. Thanks! Thank you Megan! I love that you love daikon noodles. I hope you will like pickled daikon as much as we do. 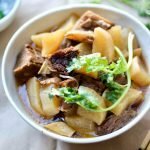 Daikon and ginger are often used together in natural remedies to treat coughs. I have never used daikon in a recipe! I need to remedy that! 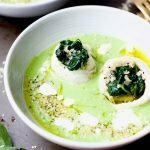 You are so good at throwing together totally healing ingredients into something that looks delicious!! I had never heard that info on daikon before, great to know! Thank you Tessa! I am so glad to be able to share some of the traditional wisdoms I grew up with. Daikon is not heard of much here because it’s mostly eaten in Asian countries. Where the daikon/Chinese white radish are grown and eaten, they are very much recognized for the health benefits. I’ve been wanting to do more with Daikon, great inspo! 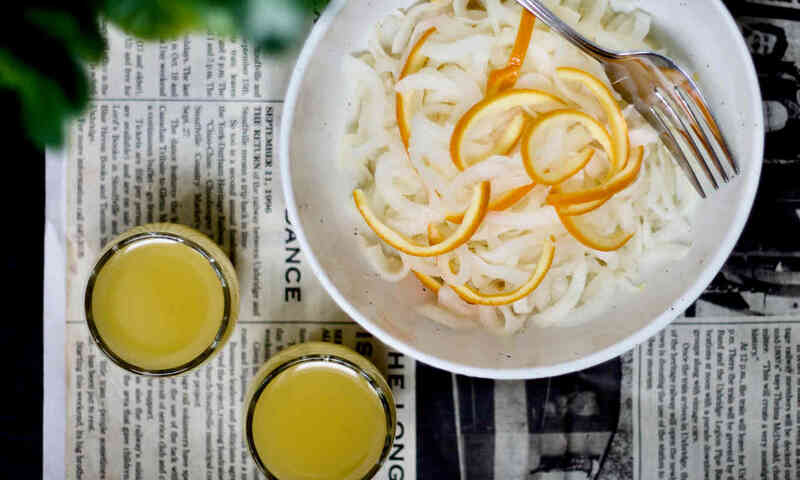 We really love spirilized diakon in the winter – I had NO idea of all the health benefits and prevention it offers for cold/flu! Wow! Thank you! Daikon is one of the “safe” vegetables that we can eat lots of – many foods don’t have this kind of status. It’s really good for clearing out the heat and mucous from the lung when you have a cough. This sounds wonderful! Daikon radish is one of my favorite veggies so I know I’ll love this. And it’s so unique too! Thank you Jean! I am with you about Daikon. It’s so refreshing too when pickled. Oh my goodness this sounds amazing!!! I didn’t know that about Daikon radishes! 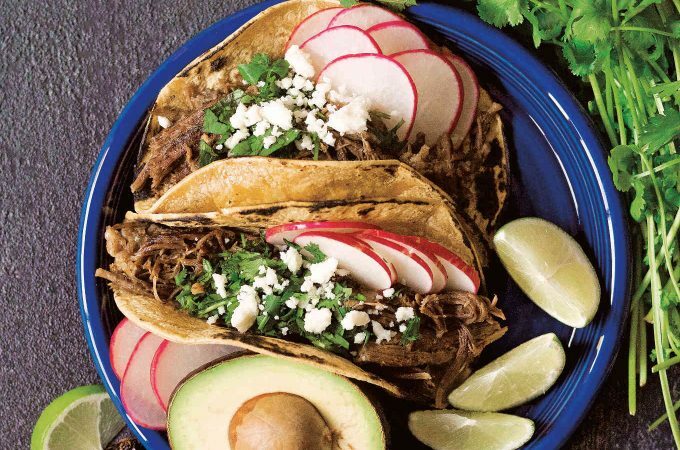 I can’t wait to make some of this.